With crisp mountain air and roaring fireplaces, Flagstaff will warm your soul and refresh your spirits. Designated by Arizona’s Governor Doug Ducey, Flagstaff is Arizona’s official Winter Wonderland which is no surprise as the city’s downtown receives an annual average of 100” of snow. This, coupled with Flagstaff being home to the state’s tallest mountain, Humphreys Peak, makes this college town ideal for winter recreation. Flagstaff offers thrill seeking downhill skiers and boarders, from beginner to advanced, terrain at an altitude of 11,500’ which can also provide distant views of the Grand Canyon. Throughout town, more fluffy white adventures await with snow tubing, snowshoeing and cross-country skiing. There’s nothing better than getting our daily steps in while savoring the silky richness of dark and light chocolates — truffles, nougat and more — which is a perfect start to the mother of all chocolate holidays, Valentine’s Day. The Flagstaff Visitor Center is hosting the Annual Flagstaff Chocolate Walk, 11 a.m. to 3 p.m. in historic downtown Flagstaff. The Flagstaff Chocolate Walk is a one-day chocolate tasting adventure where repeated decadence meets unlimited smiles while exploring downtown businesses in a unique and flavorful way. Registration is required and this event often sells out. 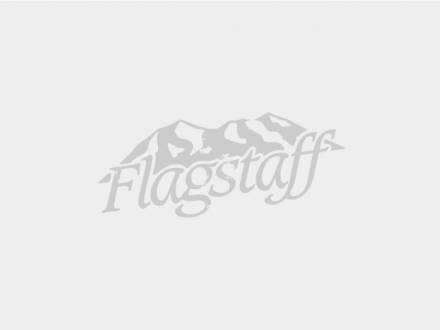 For more information or questions contact the Flagstaff Visitor Center at 928-213-2951. Grab your growlers and get ready to celebrate the state’s frothy creations during the 2019 Arizona Beer Week. For both craft beer aficionados and those just starting to develop an ale-loving palate, the annual event emphasizes craft beer education and includes tap takeovers, beer tastings, beer pairing dinners and special discounts throughout the week. From skiing at Arizona Snowbowl and sledding with the kids, to holiday events and New Year's Eve celebrations, Flagstaff is the destination for your winter retreat.